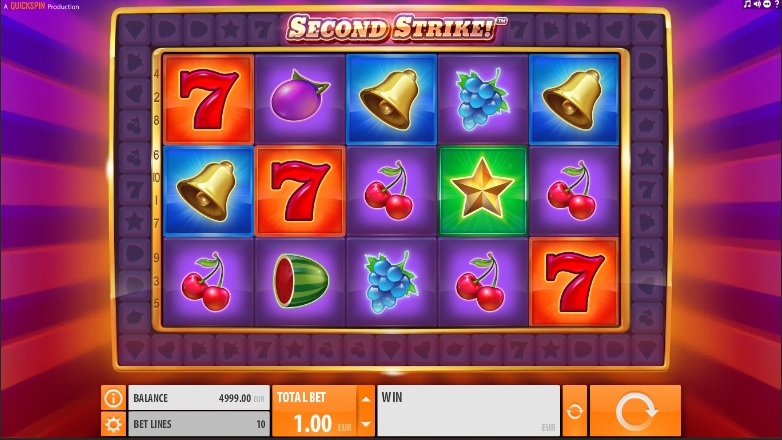 Second Strike is a video slot game developed by Quickspin with 10 paylines, 5 reels, and a strikingly beautiful fruity theme in addition to a high volatile offering. 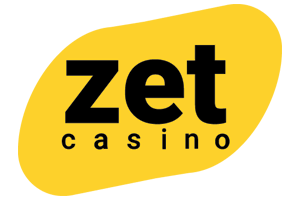 Although it does not offer free spins, Second Strike casino game has a distinguished feature that allows you an additional 10 symbols on the reels. This gives you a peculiar opportunity for huge wins because you can easily have the same symbol on all the reels. If you have ever played a 50 cent on any fruity, you will certainly find Second Strike familiar. 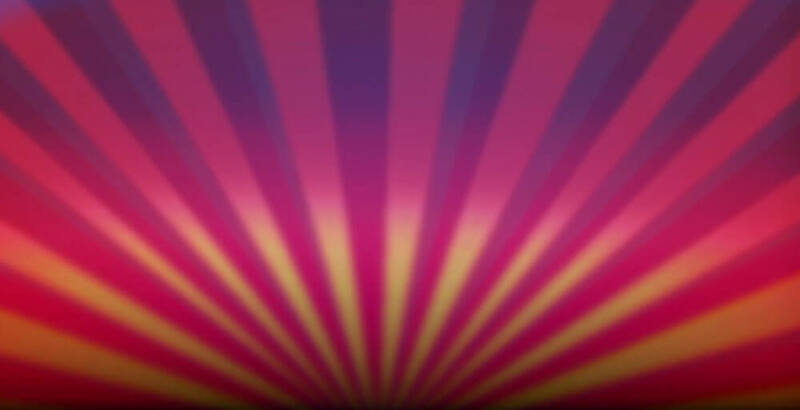 However, this fruity themed slot has many creative extras such the bonus feature that will soar your wins. For each play of a shot ranging from 10cent to 100€ a spin, you get one bonus round. 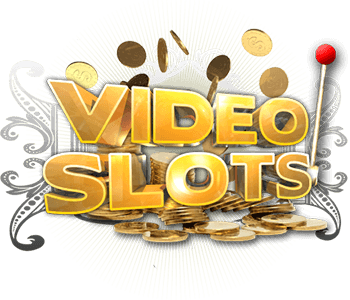 The 8 symbols in this video slot are distinct and easily recognisable. There are diamonds, cherries, grapes, melons, stars, bells, plums, and lucky 7s. Diamonds are the top payer of all the symbols. If you land 5 diamond symbols on the payline, you bag up to 100 times the bet value in the payout. 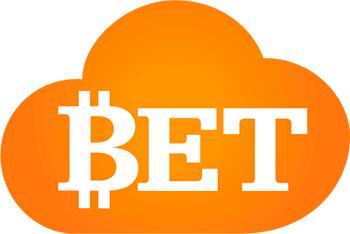 The rest of the symbols will earn you up to 20 times your bet amount. There is also a wild symbol, which can substitute all the other symbols. What is Captivating about Second Strike? Quickspin, a Swedish developer famed for creating stunningly designed slots has not disappointed with Second Strike. 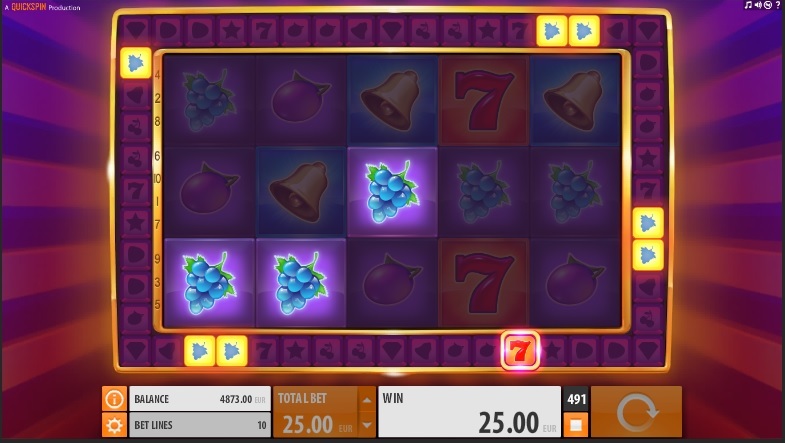 After every spin, if you land a winning combo, the winning combination of symbols is lit up on the rectangle beside the reels that consist of squares. If the counter lands on a lit symbol, the same is added to your winning combo. Therefore, if you happen to get 3 symbols in the winning combo, you get 6 additional symbols. If you get 4, 8 are added and if you got a 5-winning combo, 10 symbols are added. This makes it possible to win huge payouts on Second Strike because you can easily fill all the reels with the symbol that wins big payouts. There are two payouts on Second Strike. One is when you get your winning combo and the second is after you get the extra symbols added to your winning combination. The more symbols on your winning combination the higher the payout. However, there is no definable maximum payout as it depends on the totals displayed. The secret to high earnings is to trigger the Second Strike feature, which comes to life after a winning combo. This feature gives you up to 10 extra symbols and can be your ticket to a mammoth payout. Second Strike features a Jackpot where you earn up to 1,210 times the bet amount and is achievable with the diamond symbols. The design is user-friendly and easy to manoeuvre as a new user. It has an attractive theme with colourful symbols lighting up the platform. 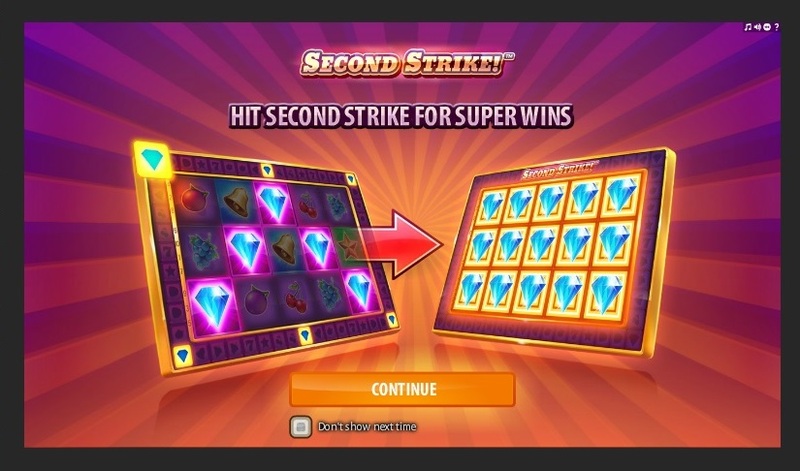 Second strike casino game is also available on mobile and has an exciting 96.26% return to player (RTP). It is definitely worth playing.